JDD Specialties has expertise writing about community development, urban design and sustainable communities. 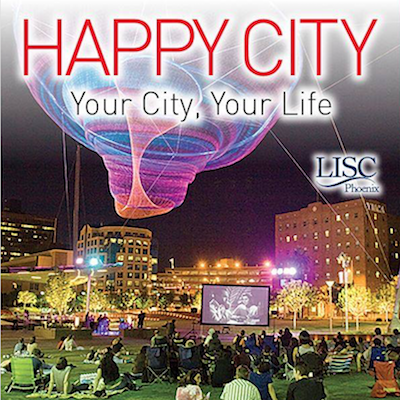 An article for LISC Phoenix that recaps “Happy City” author Charles Montgomery’s May 2017 visit to the Valley of the Sun is an example of that work. This entry was posted in Community, Community development, Health, Nonprofits, Portfolio, Social issues, Urban revitalization and tagged bicycle, mag, pedestrian, transit, transportation on June 16, 2017 by Jennifer Dokes.